Product prices and availability are accurate as of 2019-04-21 14:15:41 EDT and are subject to change. Any price and availability information displayed on http://www.amazon.com/ at the time of purchase will apply to the purchase of this product. 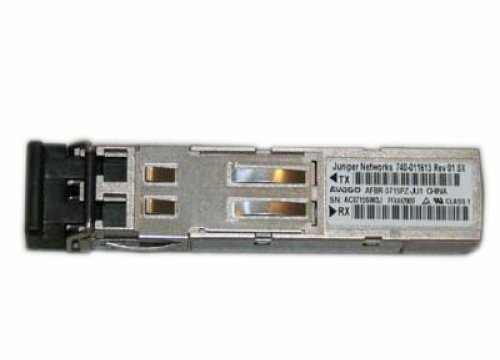 This Juniper Networks EX-SFP-1GE-SX SFP transceiver provides 1000Base-SX throughput up to 550m over multi-mode fiber (MMF) at a wavelength of 850nm using a LC connector.